I do not know the reasons why this vendor has this pricing. It would seem easier and better for customers had the machine supplied its own penny to press. For one thing not everyone walks around with pennies in their pocket. So supplying the penny would help in sales that otherwise would not happen. For another, use price to capture value (perceived or real) and not to offset your costs. Or they read the 1% Windfall and decided to increase price by 2%. Most likely they did this due to operational reasons, stocking pennies and keeping it replenished. With customers supplying their own the machine will continue to generate sales without restocking. But again why let your operational inefficiencies become a cost for your customers? This summer I paid $1.00 for the privilege of pressing my nickel at the Toronto Zoo in Canada. We just abolished our penny so more likely folks won’t have a penny. 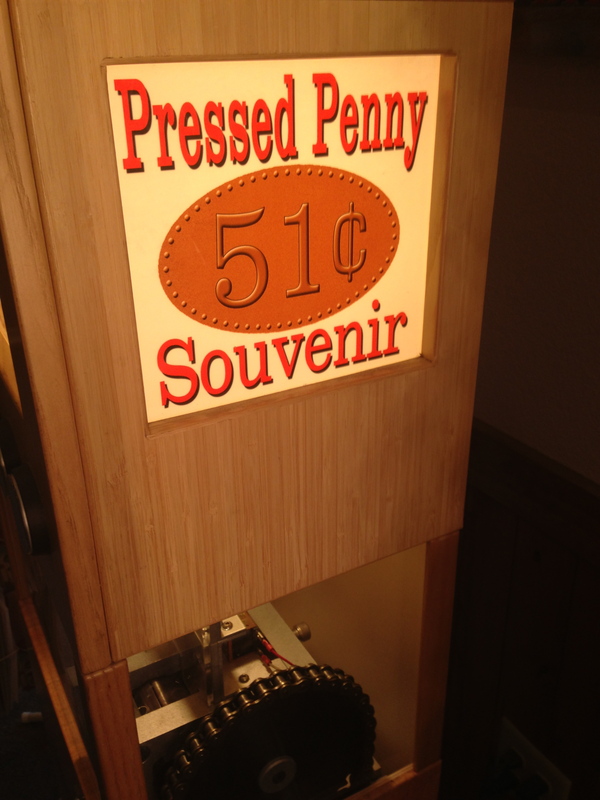 I always assumed the extra cent in the price was to signal that the “pressing” was not an illusion – that it really was YOUR penny being pressed. Which makes me wonder, is it actually just an illusion? With the metal value of pennies being so much higher than one cent each, I could imagine a “pressed penny” machine that comes stocked with a supply of distorted, pressed, copperish slugs, which are actually what the customer receives. All the gears turning is just theater. Forget about 2% extra profit, the extra profit is actually small-time industrial metals arbitrage.